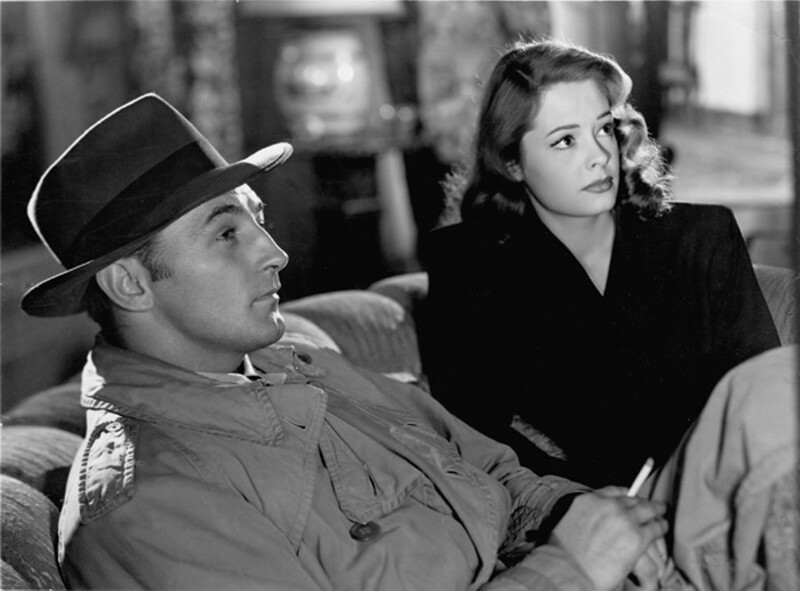 Film noir is more popular than ever. And why not? The sour fatalism of its post-WWII crime yarns fits our times. Going South: American Noir in Mexico, the latest noir retrospective on Bay Area screens, opens Friday at the Pacific Film Archive (2625 Durant Ave., Berkeley) to explore a fascinating side street of the noir sensibility — the idea of Mexico as metaphor, a place to escape to, an exotic destination where the rules are different and all bets are recalculated. But of course, in noir the characters bring their own troubles with them. For the past five years, PFA video curator Steve Seid has programmed a series for the annual Morelia International Film Festival called "Imaging Mexico." "Going South" is an outgrowth of that, an eight-pack of rock-solid movies by such powerhouse directors as Jacques Tourneur (Out of the Past), Phil Karlson (Kansas City Confidential), and Ida Lupino (The Hitch-Hiker), culminating with Orson Welles' border town nightmare Touch of Evil. Even in this field of thoroughbreds, though, there are untamable wild horses. Dr. Jeff Cameron (Robert Mitchum) and femme fatale Margo Lannington (wild-eyed Faith Domergue), protagonists of Where Danger Lives, never actually make it to Mexico, but the story of their amour fou is a genuine squirm producer. Director John Farrow — who also contributes the squirrelly noir His Kind of Woman to the series — touches all the "trapped" and "no way out" bases as Dr. Jeff essentially chucks his entire life to run away to Neverland (aka Nogales) with loca rich dame Margo. The film was made for Howard Hughes' RKO, citadel of noir, and shot by the great Nicholas Musuraca. Ms. Domergue, it turns out, was Hughes' real-life girlfriend, so perhaps he could empathize with Dr. Jeff. Where Danger Lives plays Friday, July 1, at 9:10 p.m. only. In common with other noirs of the "poor sucker" subcategory, Anthony Mann's The Great Flamarion sets up a suffocating netherworld of blind obsession. The title expert marksman, played by Erich von Stroheim, performs a sharp-shooting act on the vaudeville circuit with a pair of untrustworthy assistants: perennially duplicitous Dan Duryea and three-timer Mary Beth Hughes. Flamarion is an odd bird ("I led a lonely life. I didn't like people and they didn't like me") who lavishes affection only on his pistols before Connie (Hughes) makes her move on him. After that he's a dead duck; a dead duck who's a crack shot, that is. The action takes place in flashback from a Mexico City theater. See it July 23. For more info: BAMPFA.berkeley.edu.